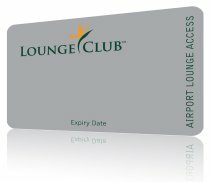 LOUNGE CLUB™ membership is designed for those whose business takes them to the skies, wherever that may be. The lounges in our program are available to you whenever you travel. The lounges offer a comfortable environment and an escape from busy departure terminals, which all experienced travelers will appreciate. Refreshments are available, and most offer excellent business facilities. We all get frustrated by busy airports and delayed flights, but a peaceful airport lounge can make it much easier to bear. To see details of participating lounges, use the Find a Lounge box on this page. To download a pdf file with details of participating lounges click here. The Club at DFW - a great independent lounge at Dallas / Fort Worth - no more than 5 minutes from each terminal by Skylink.